We are a senior care resource and referral agency, helping seniors and their children understand the variety of services offer in the mature adult market and helping them with the assistance needed. At Pacific Senior Care Services we specialize in helping families find appropriate placement such as senior living communities, in home health services, private duty services and with our advisor helping them on qualifying for Veterans benefit aid. Pacific Senior Care Services, is committed to "Excellence in Service" providing a critical resource to families called "Senior Care Financial Planning". Our Founder, Kelly Gonzales's personal and professional path has been guided by her true compassion, kindness and commitment to assist seniors, physically and challenged individuals in the San Francisco Bay Area. 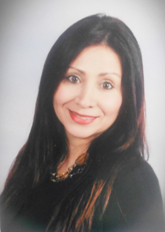 Ms. Saleh is a former Manager Liaison with home health care services and the Marketing Manager for a senior living community in the San Francisco Bay Area. Responsible for business development with account executives in community outreach, coordinating weekly in-services with clients. Kelly Gonzales Saleh has been an insurance broker in the Bay Area since 2004. Kelly Gonzales Saleh is a Founder and Owner of Gonzales Insurance Financial Group in San Francisco Bay Area, she serves the needs of seniors and other clients with age-specific planning, products and services. On April 2014, Gonzales Insurance Financial Group was able to launched into partnership with Pacific Senior Care Services to help their clients with senior financial services and end of life planning. Proudly serving the San Francisco Bay and Contra Costa County Areas. On 2010, my father got a severe stroke unexpectedly, while staying in the country house gardening. It was his favorite place to relax and enjoy nature, he called it "his work of art" but suddenly that day turned to be different. It was a life changing experience for my whole family and for myself. We had to deal with many emotions and it was so difficult seen my dad reach a point of needing around the clock, once when he was the one who had provided for his family for all these years. It became obvious at that moment,that my father will need help in order to come home and stay in it. So my brother,sisters and I had to make decisions on finding someone to help us with all this tragedy; my family and I were very overwhelmed with the whole process,trying to search for a good,reliable, compassionate senior care service,mainly searching for that "Peace of Mind"that every family needs in the time of need. Finally, we were able to find the right person to assist with my dad's health and recovering. I know at first hand, how desperate anyone can be in this situation and how important "Peace of Mind"is for everyone involved.